Wrinkle free on the daily. Deep wrinkle maintenance plan. Luxuriously hydrating Day Cream enhances and prolongs the deep wrinkle-reversing, face-lifting effects of your Fillerina® Plus Replenishing Treatment 08511 (up to four months). 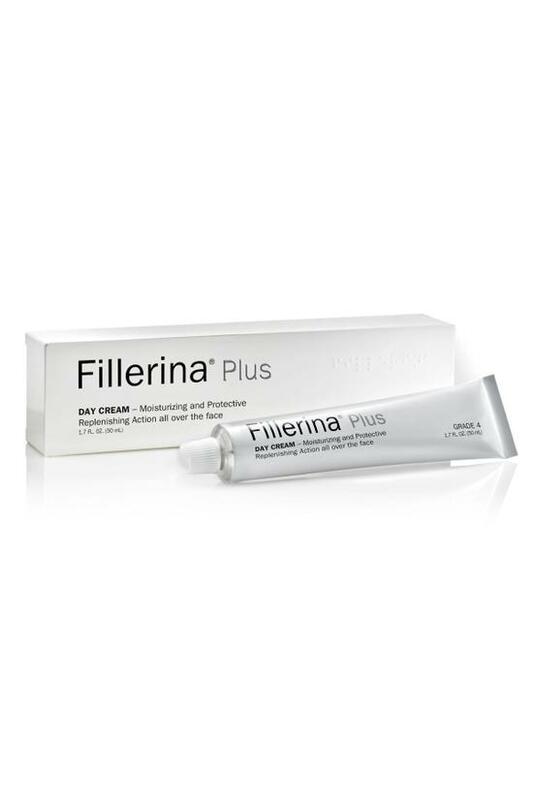 · Day Cream and Fillerina® Plus Night Cream (08510) are great solo anti-agers, but deliver even more powerful Hyaluronic Acid building and plumping when used following the completion of the more-intensive Fillerina® Plus Replenishing Treatment (08511) 2-week regimen. Use every morning as your moisturizing cream. Warm up a dime size amount between your palms and pat, rub into your face and neck. For optimal results, use in conjunction with the Replenishing Treatment. Use the Treatment at night and the Day Cream in the morning. The skin will continue to build the hyaluronic acid molecules and improve over time.